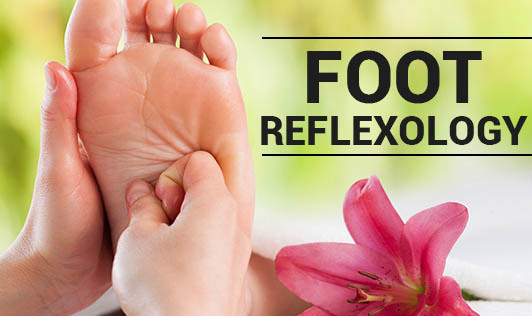 Reflexology is performed only the hands and feet and draws on the principles of acupressure. In reflexology, it's believed that the entire body's internal systems can be mapped to pressure points on the hands and feet. •It can relieve pain and stiffness caused by too much exercising or using muscle for too long. •It can help prevent and cure many symptoms such as headache, stress, asthma, constipation, sinusitis and migraine. •The blood circulation system will be boosted. •The body's function will be naturally turned into its homeostasis. •The massage must be done with accuracy to avoid wrong reflection which will cause muscle infection. •One should not receive a massage until at least one hour after a meal. •After receiving a massage, one is required to drink water to eliminate toxin and lactic acids developed during the massage process. •Pregnant women, menstruating women and people who are bleeding either internally or externally are not allowed to receive foot reflexology massage. •Foot reflexology massage can be given every day but the total duration of both feet in a day should not exceed 45 minutes. Please consult reputed Reflexologists. They use maps or charts as reference to determine where best to apply pressure based on your goals for the treatment.